Bring your pet with you…. On arrival your pampered pooch will be presented with a cosy doggy blanket, water bowl and tasty treats. They can dine from their own menu alongside you in the conservatory and lay by the fire in the lounge before bed. It really is a dogs life! Take a look at our blog post introducing Freya for ideas of things to do in the area with your dog. Dogs are allowed to be left unattended in your room, however if your dog accidentally damages any fixtures or fixings a charge will be made for the cost of repair or replacement. 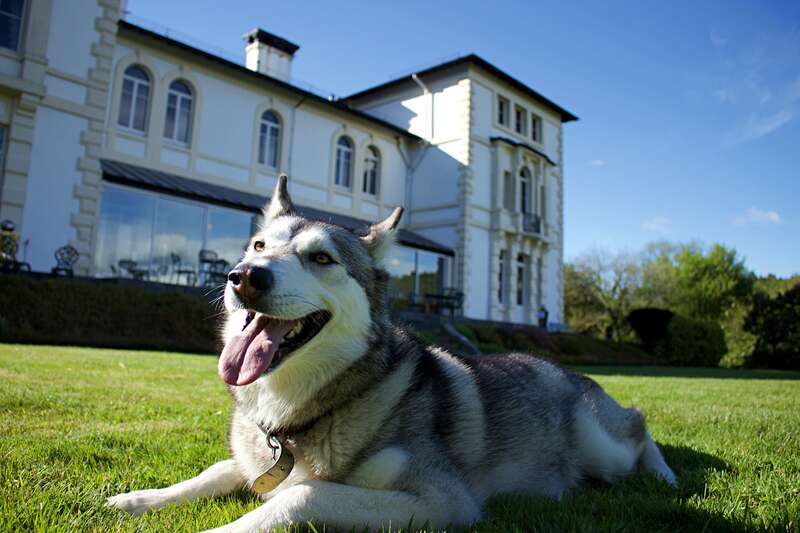 We allow dogs in the public lounge, conservatory and terrace provided other residents and guests are respected. Snoopy is the hotel dog who is friendly and charismatic. The local residents also like to walk their dogs on the hotel drive.